Hang on, what is Meeting of the Minds? Meeting of the Minds expanded its team in 2017 with two new hires: Managing Editor of the Blog and Program Director. Bloggers now have a dedicated staff person to work with on content, editing, and publishing. This has added enormous value to the blog and the blogging experience. The Program Director reports to the Executive Director and works on expanding our current programs, curation of content, and more. Over the past five years, our digital platform has been a more and more important channel for knowledge sharing and network building. From our blog, to our event archives, to our digital communications, we’ve come to rely on the Meeting of the Minds website, and our audience has, too. In 2017 we redesigned our website, and its underlying architecture, to better suit our needs. This Annual Report, in fact, is a good example of how we use this platform. The Boston Mobility Summit convened in June 2017 with 129 invited leaders to discuss a shared climate, equity, and mobility agenda for the Boston region. Afternoon small-group workshops, facilitated by local thought leaders, focused on developing solutions to address the challenges and opportunities detailed in the morning plenary talks. These thematic areas were developed through in-depth local stakeholder interview research. We convened our 11th Annual Summit in Cleveland, Ohio in October of 2017. The Summit brought together 422 leaders across the public, private, non-profit, philanthropic, and academic sectors to share lessons learned and best practices for more sustainable and smarter cities. Cleveland was chosen because of its commitment to rebuilding and revitalizing its economy with a focus on digital, smart, equitable solutions. 2017 was a hallmark year for Meeting of the Minds. With the launch of our new website, new staff hires, and the expansion of our programs — we are excited for what lies ahead. Our purpose and mission have never changed: convene thought leaders across sectors to accelerate the transition to sustainable cities. The methods and platforms which we have developed to deliver on that mission, however, have evolved. Our revamped digital platform and nearly 20 events a year have enabled us to deepen our impact and connect more leaders across sectors in genuine ways. Our webinars, in particular, are now attended by hundreds of thought leaders each month who are hungry for real tools that dig down into the ‘how to’ of delivering sustainable and smart cities. We strongly believe in the power of knowledge sharing, the transformative potential of partnerships, and the potency of a global community of thought leaders committed to the same future. We look forward to working with all of you in 2018 to deepen our leadership network’s impact. Meeting of the Minds programming was supported by these generous organizations in 2017. The 11th Annual Meeting of the Minds summit convened in Cleveland, Ohio from October 23-25th at the Global Center for Health Innovation. This Meeting of the Minds Annual Summit unearthed tools and best practices working for city leaders across the globe. The sessions featured solutions that were scalable, replicable and transferable from city-to-city and sector-to-sector. Discussions were couched in a deep understanding of technology and equity as key drivers for innovative cities. Topics ranged from refugee integration to automation. Our partner – DigitalC – was instrumental in bringing us to Cleveland and paving the way for us to spotlight innovations and cutting edge work happening on the ground in the region. Rated the event "Very Good" or "Excellent"
The Annual Summit Scholarship Program awarded 85 scholarships to public sector leaders, non-profit executives, entrepreneurs and academics to attend the Annual Summit free of charge. We believe that it’s vitally important to provide this opportunity to leaders from multiple geographies, sectors, ages, races, and identities. Without women, people of color, and advocates in the room, any discussion on the future of cities would be incomplete. Through a competitive online application process, we chose candidates based on their experience, passion, and commitment to sustainable, equitable, and resilient cities. 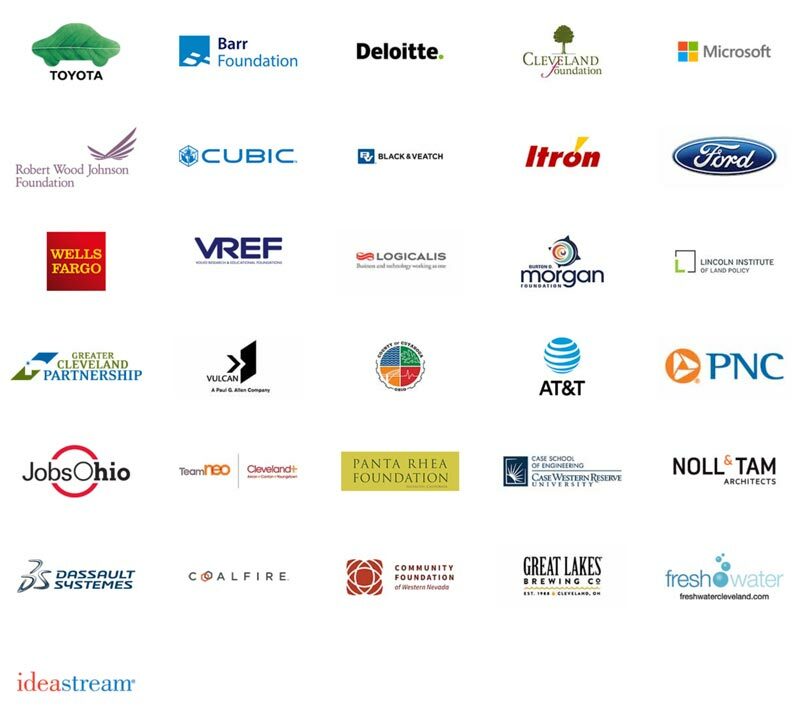 Since it began in 2015, the Annual Summit Scholarship Program has grown year-over-year with support from sponsors and partners. 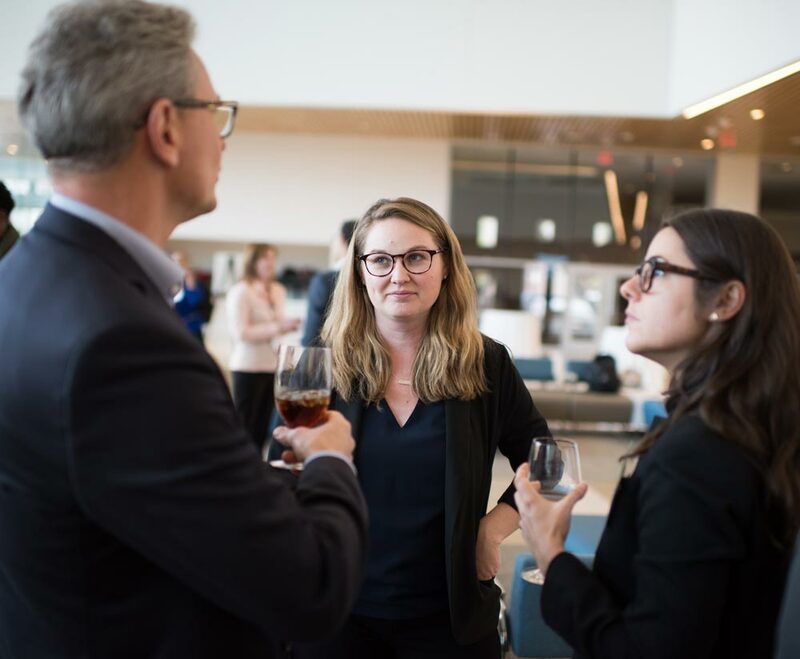 On June 20, 2017, 129 invited leaders convened in Cambridge, Massachusetts at Microsoft’s headquarters to discuss the future of mobility, climate and equity in the Boston region and develop shared solutions. This day-long leadership summit brought together C-suite executives and entrepreneurs, public sector and non-profit leaders, philanthropists and academics to share local and global best practices applicable to the Boston region. The focus was on transformative new technologies, policies, financing mechanisms, design, and collaboration models with a particular focus on low-carbon and equitable solutions. The six morning plenary talks set specific challenges and opportunities to be addressed in the afternoon small-group faciliated workshops focused on the following themes: curbs, parking, equity & access; planning for climate impacts on Boston economy and transportation systems; wireless technology benefits – access, sustainability, payment systems, and beyond; shared mobility, EV, and AV strategies; financing solutions for transportation infrastructure; role of government and entrepreneurs; better buses & street infrastructure; how to scale disability tech solutions; reimagining public transportation & urban mobility in the era of TNCs & autonomous vehicles; matching transportation supply and demand – regional economic growth strategies. These issue areas were developed in partnership with local leaders and stakeholders. In its sixth year, our monthly webinar series enabled thought leaders from multiple sectors to share their work and best practices to an international audience of urban practitioners seeking new tools. Archive recordings from each webinar are posted post-event for those who missed the live webinar. Surveys at the end of each webinar enable the staff to continually improve the webinar experience, content and delivery. A lively 30 minute Q+A occurs at each webinar – as demonstrated in the ‘engagement’ bar below. Featuring Matthew Hudson of Transport for London and Boris Karsch of Cubic Transportation Systems. Featuring James Kuffner, Chief Technology Officer of Toyota Research Institute. Featuring Lev Gonick, Chief Executive Officer of DigitalC. Featuring Chris Zegras, Associate Professor of Transportation and Urban Planning at MIT. Featuring Brian Saldutti from Oracle and Terrance DeGray, Stephanie Lightner, and Nicole Solia-Velarde from Cordoba Corporation. Featuring Jackie Klopp from Columbia University & Digital Matatus Project and Henry Ochieng from Kenyan Alliance of Resident Associations. Featuring Ashley Grosh of Wells Fargo, David Roe of LiquidCool Solutions, and Eric Kozubal of National Renewable Energy Lab. Featuring Justin Bibb of Gallup and Kim Zentz of Urbanova. “I am a lecturer at Stanford University and teach courses on Smart Cities & Communities in Civil & Environmental Engineering and the Urban Studies program. My courses focus on how technology can be applied to improve the efficiency of systems, the efficacy of services, and the resiliency of communities. We take a systems approach and address all aspects of the city – and the citizens. It is a survey style course and is structured around case studies. Given the nature of the topic, the content is constantly evolving and I draw heavily on current, real world insights from both the public and private sector. The Meeting of the Minds blog is an invaluable source of content which I draw upon regularly. My students also rely upon it for their research papers. The quality of the content and the holistic approach to each topic is terrific. I also appreciate the fact that your blogs explore all aspects – technology, policy, social, and economic. Interested in writing for the blog? Visit our writing guidelines. A San Francisco tradition! Started by Meeting of the Minds in 2012. Participants meet on the first Thursday of every month to discuss their work on the future of cities. For more info, visit the official Meetup.com group, which grew to 1,975 members by the end of 2017. Meeting of the Minds convened 25 sponsors, partners, and local leaders for four hours in Cleveland to identify and gather emerging ideas, themes, and best practices to incorporate into our year-round platform and programming. Meeting of the Minds convened 40+ sponsors and partners for four hours in San Francisco to identify and gather emerging ideas, themes, and best practices to incorporate into our year-round platform and programming. 25+ leaders gathered at the RYSE Youth Center in Richmond to think through the next phase of RYSE’s growth and expansion into the tech, entrepreneurship and leadership space. The discussion focused on The Hidden Genius Project program expansion to Richmond and RYSE’s campus project. 20 Bay Area leaders gathered at the TransAmerica Pyramid to discuss how Bay Area urban resiliency is being supported by technology. After brief talks by Microsoft, the CIO of San Mateo County, AT&T and Meeting of the Minds, the group shared lessons learned, solutions and key gaps to be addressed to move the region forward. 100 leaders gathered at the Verizon Innovation Center to hear from Maria MacGunigal, Chief Information Officer from the City of Sacramento, Verizon and Meeting of the Minds to discuss the recent $100M 5G commercial rollout plans with Verizon. Participants discussed how to partner with cities, how to leverage technology solutions for urban residents, and closed with a networking reception.